Adolfo Guzzini has been awarded the Leonardo Prize 2017 for his outstanding contribution to spreading awareness of Italian excellence around the world. 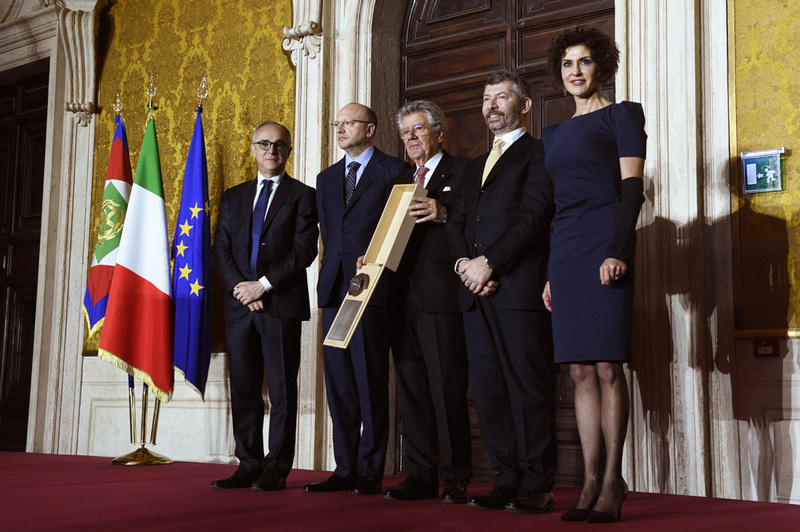 The prestigious prize, awarded by the diverse panel of judges of the Leonardo Committee, was handed to Adolfo Guzzini by Ivan Scalfarotto, Undersecretary of International Trade and Investment Attraction at the Ministry of Economic Development, assisted by the President of the Leonardo Committee Luisa Todini, the President of Confindustria, Vincenzo Boccia, and the President of the ICE Agency, Michele Scannavini, in the presence of the President of the Italian Republic, Sergio Mattarella, during the Award Ceremony held on 23rd February, at Palazzo Barberini in Rome. "I am honoured and proud to have received this prestigious award, which rewards our company’s ability to pursue excellence and which acts as a stimulus and sets an example for young talent and for our country as a whole", commented Adolfo Guzzini, President of iGuzzini. "Through a continuous process of innovation and promotion of Made in Italy abroad, we intend to contribute to the growth of our country and to increase its attractiveness at international level", concluded Adolfo Guzzini. 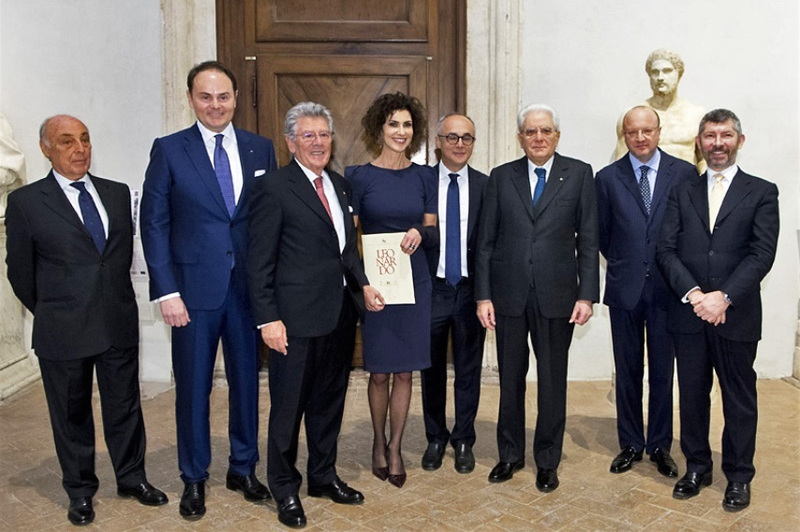 The initiative is promoted by the Leonardo Committee - established in 1993 by Sergio Pininfarina, Gianni Agnelli, Confindustria and ICE - which today counts over 160 well-known members including entrepreneurs, artists, scientists and important names from the cultural sphere. Its core aim is to enhance Italy’s image and its originality through international events of a high cultural and economic profile. Since its foundation, the Leonardo Committee has been promoting, spreading and reinforcing the image and excellence of the Made in Italy trademark; collaborating with all the official bodies responsible for promoting Italian companies on the international scene, supporting young talent and encouraging relations and cooperation between universities and their local areas. The Leonardo Committee holds the highest office in the State, including the President of the Council of Ministers, the Minister of Foreign Affairs, the Minister of Economic Development and the Minister for Cultural Assets and Activities. The Committee also grants the Leonardo International Prize and the Leonardo Italian Quality Prizes. Adolfo Guzzini, President of iGuzzini illuminazione, receives the Leonardo Prize 2017 at Palazzo Barberini.